Thursday marks another chapter in the fight to add stadium lights to the football stadium at T.C. Williams High School in Alexandria, Virginia. The Alexandria School Board is scheduled to discuss any operational issues surrounding the addition of permanent lights to Parker-Gray stadium at their meeting Thursday. But some neighbors remain concerned that stadium lighting would disrupt their quality of life. T.C. 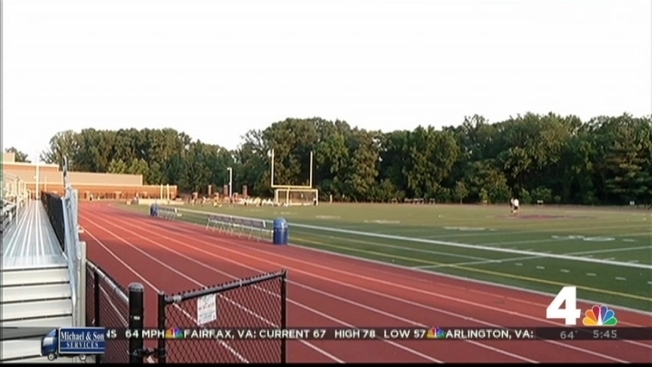 Williams is the only public high school in northern Virginia that does not have lights on its football field. The new lights would allow the school to hold Friday night games. The football team currently plays its home games on weekend afternoons. School officials have said the lighting would give students, athletes and the community some Friday night events to rally around, adding they could plant more shrubs to block out any light that's projected into the surrounding neighborhood. But neighbors are concerned about more than the bright glow of the football field. They fear the lighting will mean more events and more traffic for the area.